… and I thought of using it as the title for this post. But it’s not really appropriate, because I consider all the kindness that has been (and continues to be) bestowed on me as a result of my requests for squares to be from friends… even if you weren’t before, you are now. The latest little package that has arrived is from Kerry (Love those “Hands at Home”). 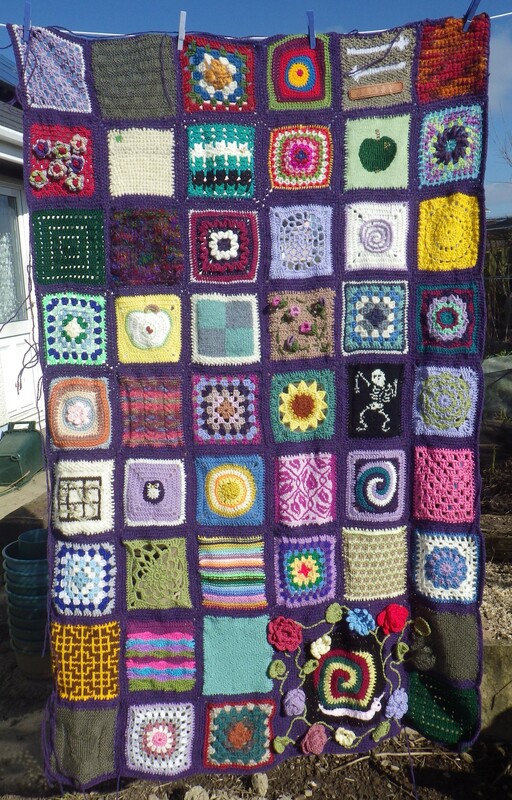 It contained two fabulous squares using a crochet technique that she learned during a very trying time in her life. 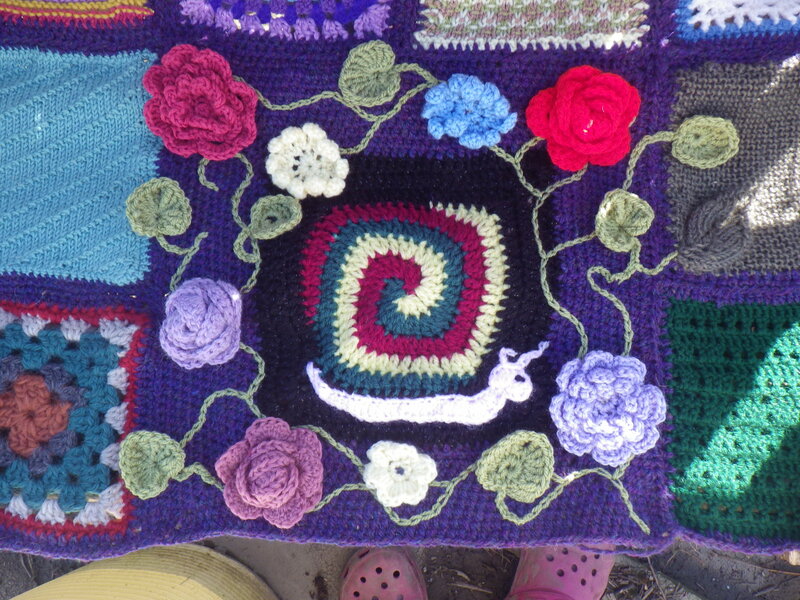 You can read the story of the resulting blanket and the associated flood here. She had a couple of squares remaining from this time and sent them to me to add to my latest friendship blanket (still the squares keep coming – thank you one and all). I really love the pattern… in fact I’m so taken with it that I’m planning to use it for one of the big cushions on my sofa. 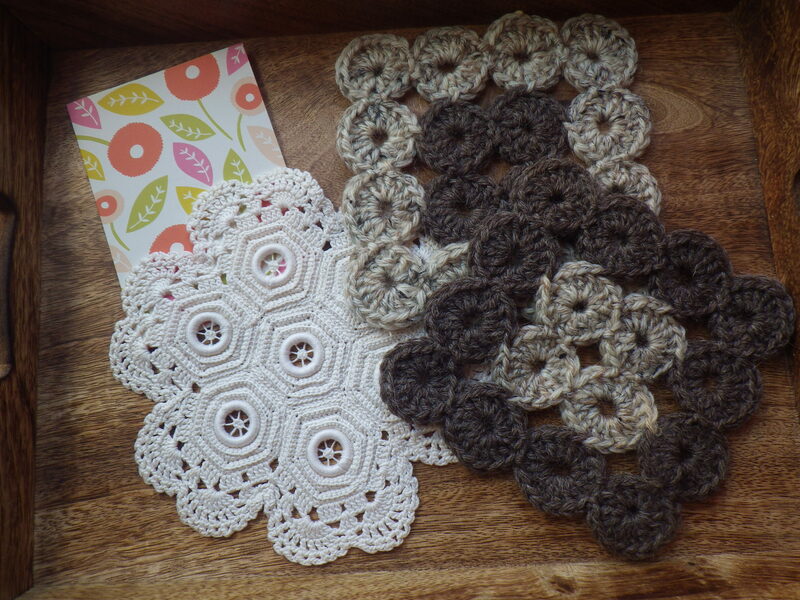 It has some affinities to Bavarian crochet, so should be relatively easy for me to pick up. But the squares weren’t the only thing in the package, there was also a piece of vintage crochet, worked by some unknown lady (well, ok that’s an assumption, but I’m sure I’m right) in the most amazingly fine thread and at such an incredible density that it is stiff. 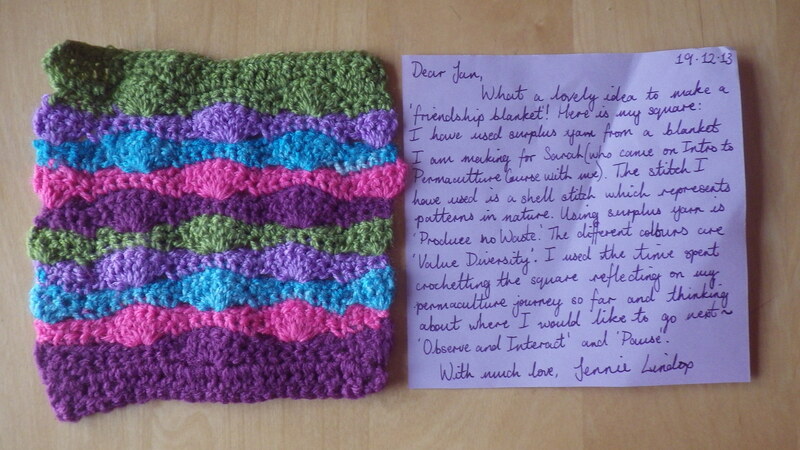 I’m adding this to my collection of lovely things that I have received with the friendship squares. Like the cards I received from Pauline (The Contented Crafter) I want to frame this. 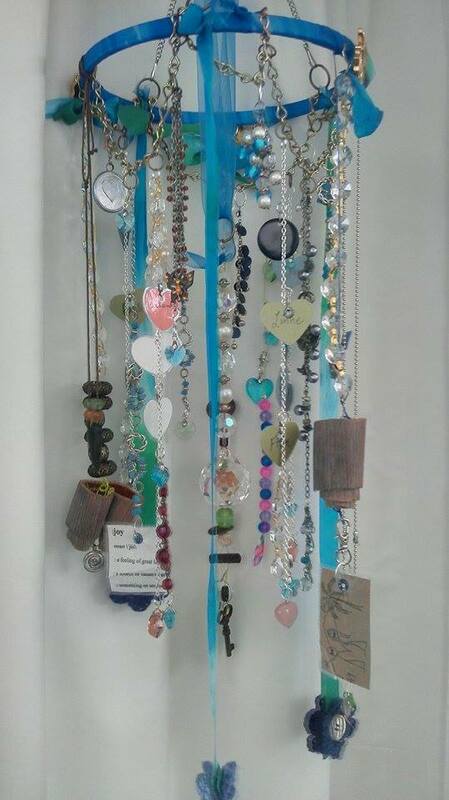 The Dangler of International Happiness – isn’t it beautiful? Oh look, we have created enchantment. Next group project? Something for Fran! This week has been very grey. Despite temperatures around 17ºC, we’ve hardly seen the sun. That combined with the hour changing and thus it being dark so early in the evenings has made me rather gloomy. It’s great, therefore, that I have such lovely friends to bring some metaphorical sunshine into my life. 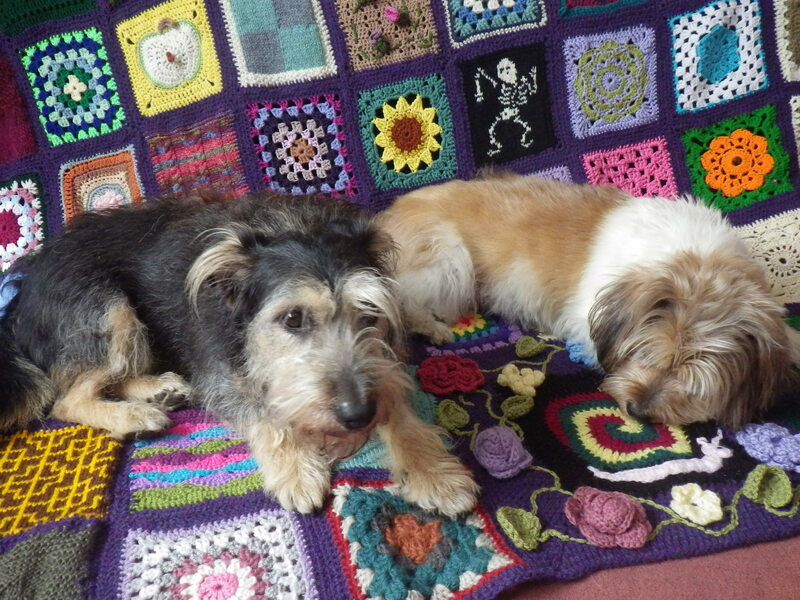 First, I received the first contribution to the ‘lap blanket of late-comers‘. 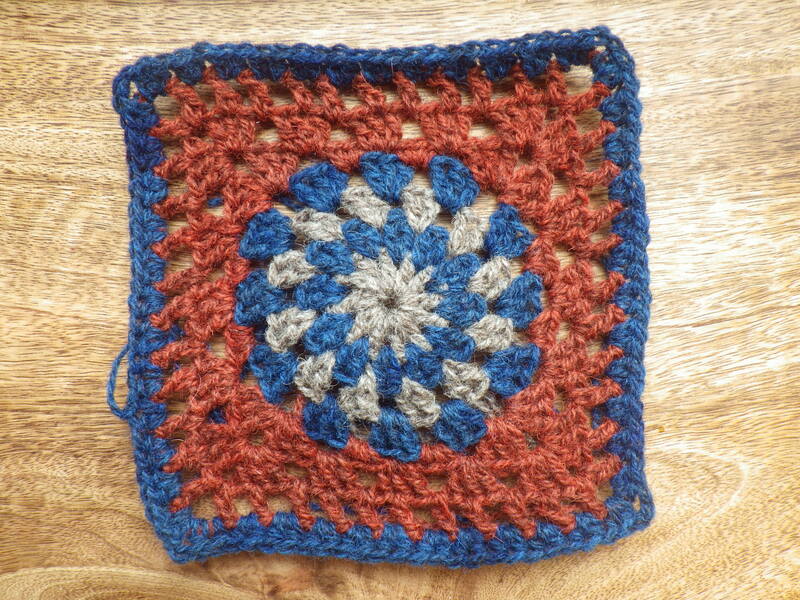 All the way from New Zealand (my most distant square ever) from Mrs P, the Contented Crafter, came this lovely square. 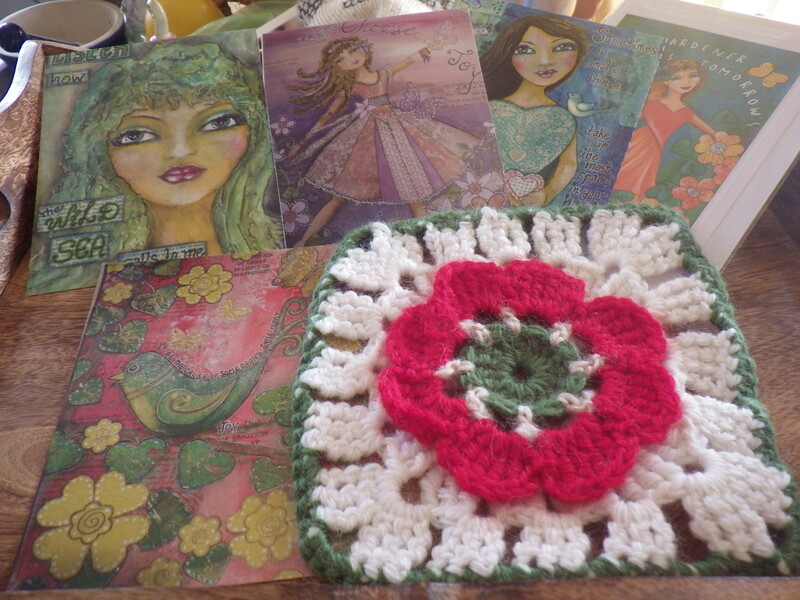 And not just a square, but some of her beautiful cards… which I think I’m going to put in a frame… possibly with a crochet border. If you like her cards (and really my photo does not do them justice), do check out her etsy shop. Now that was something to make me smile straight away, but on the same morning I also received a parcel of knitted squares from a dear friend in Yorkshire. 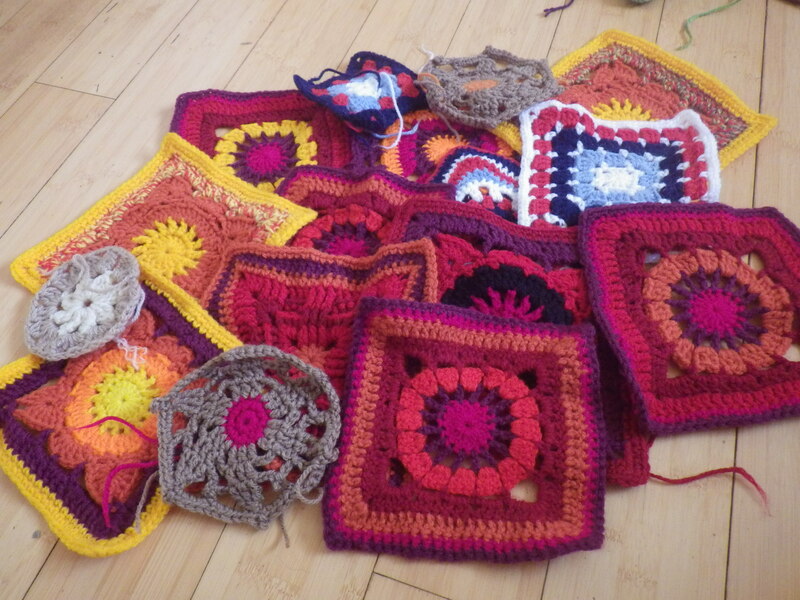 These are squares that she had intended to make into a blanket for herself, but she’s got distracted by quilting and decided to contribute them to the friendship blankets that we are making to support Denmark Farm, the conservation charity I am a trustee for. I may be naughty and divert one of these squares (and perhaps one of the ones below) to my lap blanket, even though this will mean that Nia has contributed to both that and the Masterpiece. So, even though the sun hardly showed its face this week, there were many bright moments. Many thanks to everyone who acted as a sunbeam! PS You may notice that Esme is looking rather the worse for wear… on Monday about half her feathers fell out, but the reason is now clear… she had a whole batch of new ones just ready to burst forth! I have never understood why chickens moult in the autumn, but this year she’s certainly not getting chilled! 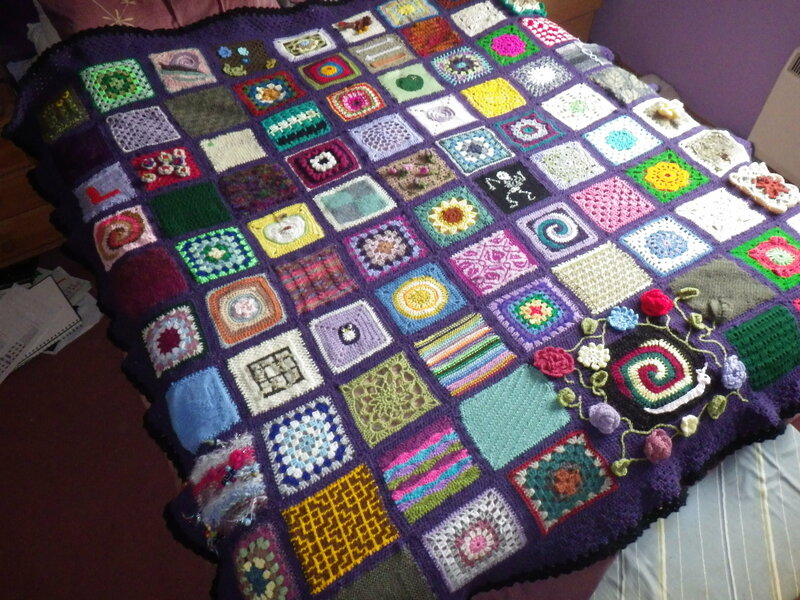 On 18 December 2013 I wrote post entitled My Masterpiece, inviting my blog readers to contribute to a knitted and crocheted blanket. I really didn’t dream that this would result in contributions arriving from around the world… North America, Africa, Asia and especially Australia. The very first square arrived before Christmas, in fact the letter that came with is was dated 19 December! That one was from Jennie… who came on one of my introduction to permaculture courses about three years ago. After that they just kept coming… I had weeks and weeks of getting little packages containing a square or two (Willow), or three (Nia) or even nine (Flo); I also received some lovely gifts – several of these from Australia, which must have added significantly to the postage. The whole experience was like having one long birthday! Of course all good things must end and so it was with slight sadness that I received my final square… hand delivered by Lorraine in June. I had a schedule to meet and so it couldn’t go on forever, how ever much I would have liked it to. 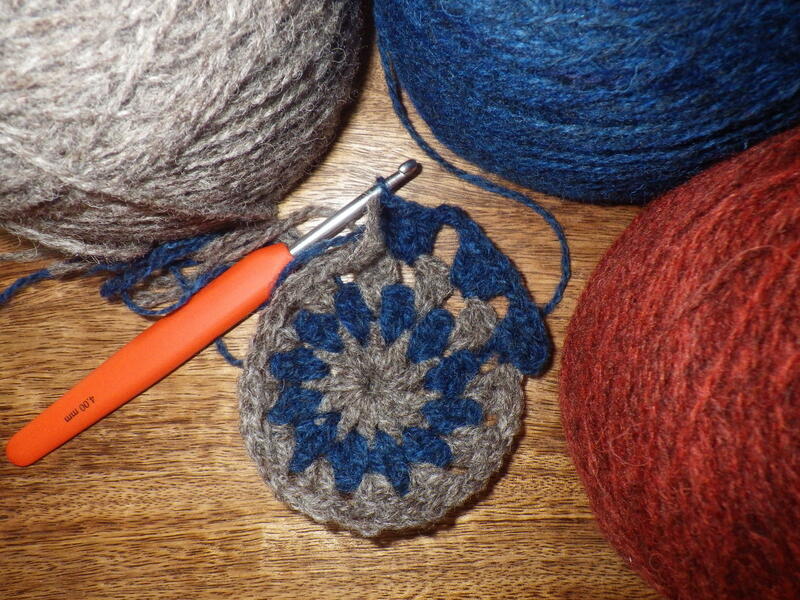 It was bad timing, really… I had to crochet the edging of the blanket during a very warm summer, wearing shorts and t-shirt but swaddled in a cosy blanket. I managed to avoid passing out from heat exhaustion, and it was all finished in time for my diploma accreditation presentation as planned. Over the past few weeks, I’ve been taking it with me to visit all sorts of people and be duly admired, frequently with the comment “Oh I wish I could have contributed”. 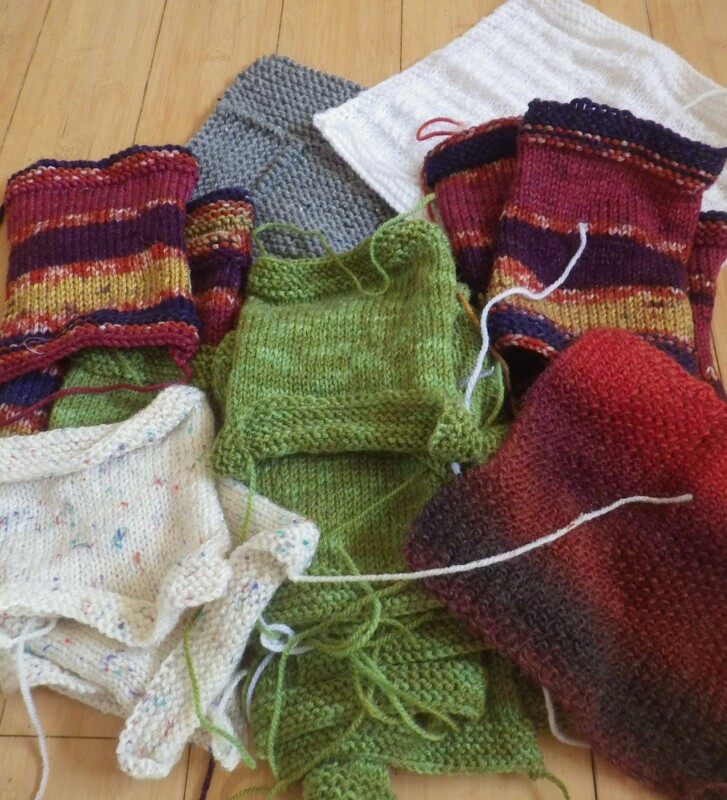 So, I have some good news… at the suggestion of the lovely Hannah from The Inkpot, I am (or rather you are) going to make a “Late-comers lap blanket”. Now is your chance to contribute if you didn’t before (or even if you did and want to again), but this time I’m not going to tell you what size square or rectangle to make… this is going to be a much more free-form creation and we’ll see what comes from it. It’s probably best to aim for something between 6 and 9 inches/15-22cm, but I will be able to accommodate anything… oh dear, famous last words! And, even better, I’m not on a deadline with this one, so you can take your time. These (and more) are going to be raffled off to raise funds to support the work of the charity. I’ve just applied for the licence to run this ‘lottery’ as it’s legally termed and then I can get tickets printed up and start selling them. But that isn’t the only ripple. Last night I had dinner with Jennie who made the first square. 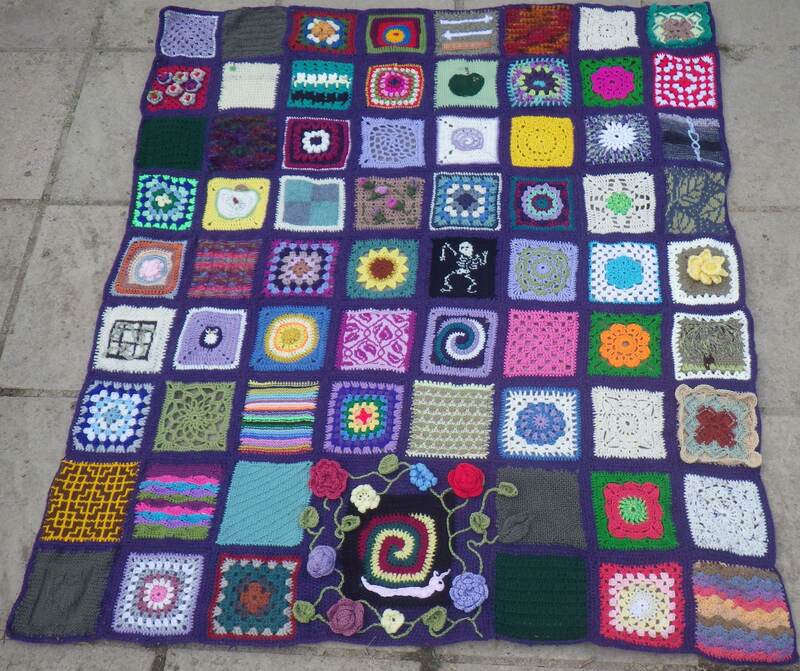 She’s recently had a a baby boy and she has decided that if people want to give him something, she’s going to ask for squares to make a friendship blanket – how great is that? I love the idea of marking a birth with this sort of creative project – so much more special than plastic toys, clothes or silver bracelets. If my project has inspired you, perhaps you can use the idea yourself… if so, I’d love to hear about it. 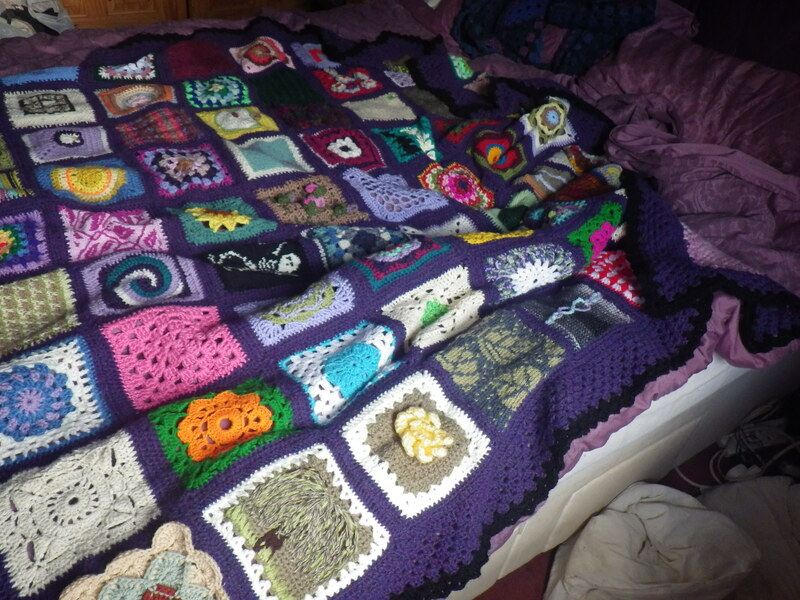 Just thought a little post on the progress of the masterpiece blanket is in order for my regular readers. Despite crocheting bunting for Scarborough and finding fabric for Queensland (a little of which I had to remove from the parcel to make it less than 2kg and thus affordable to send), I have managed to fit in a bit of work on the edging… actually three and a quarter rounds so far, which is no mean achievement considering what warm work it is! I must also direct you towards a blog that I think many of you might enjoy… I had to stop reading back through the posts because I was spending so much time, but if you have an hour to spare, take a look here… you might be as tickled as I am with it. 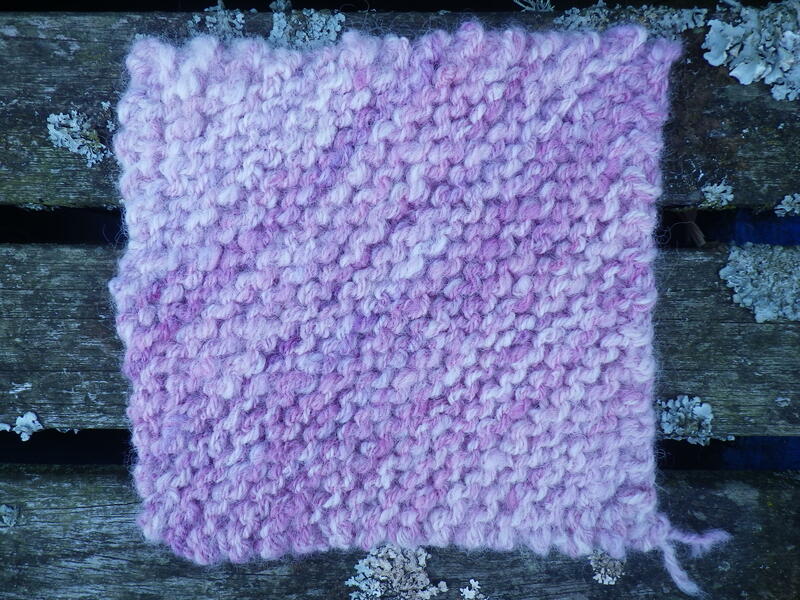 It was knitted from my first (decent) spinning from the very first shearing of my darling sheep Dipsy. Knitted, then, in 2004 so somewhat older than some of the squares I imagine. Without Dipsy and her brother Dribble I wouldn’t have “discovered” wool. Without discovering wool I wouldn’t have “discovered” felt. Without discovering felt I would have been a different person, with a different life, and there’s every chance we would not have met. And so, you see, although very plain this square is nonetheless very special to me and I am happy that it has found a special home in your blanket. So now you know just how what an amazing gift this is. I’m quite overwhelmed to have received this and delighted to include it as the final piece in my Masterpiece. Thank you Lorraine. … that’s the size of the Masterpiece. 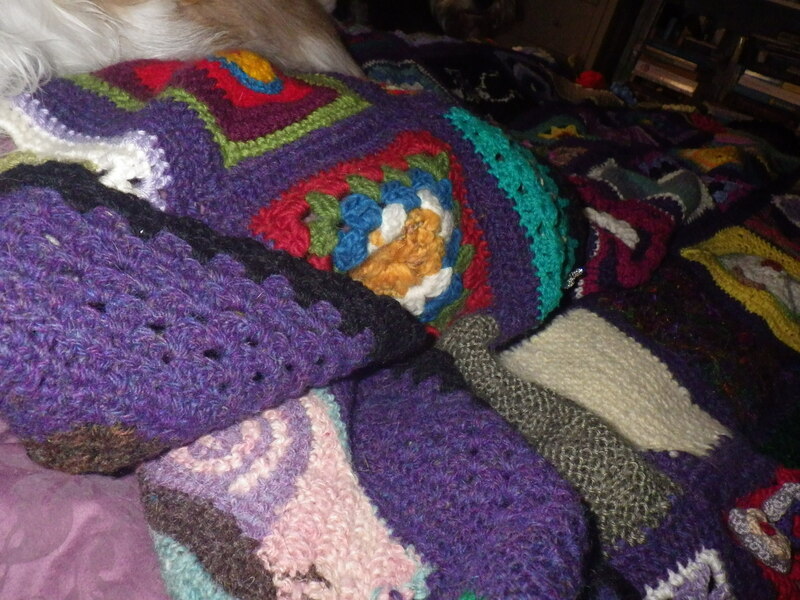 It really is a blanket now and I know there are quite a few more squares to come. Thank you, one and all!